Expresso Nation, it's time for a Dalmatian invasion. 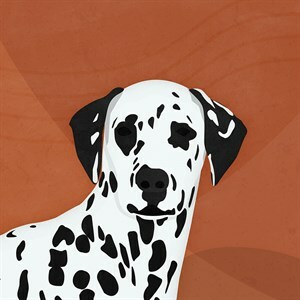 Regarded as playful and hyperactive, the Dalmatian requires vigorous exercise to counteract their boundless energy. Fuel the fire inside and burn as many Calories as you can this year. Reach the goal to collect your badge, and keep an eye on your spots (on the leaderboards). You have until December 31, 2018 to complete the challenge. IMPORTANT: Registration is required. You MUST click "join" before riding or your totals will not count. Road and Games Calories will be counted in this one. Pedal and Studio workouts will not.